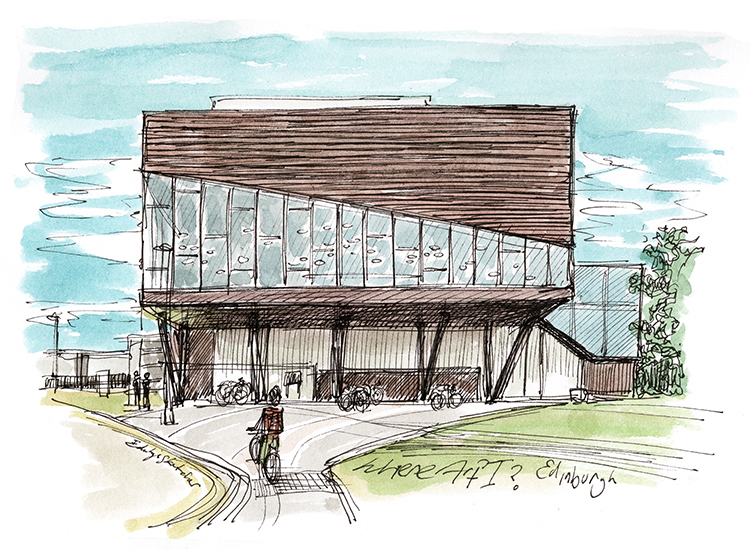 #WhereArtI 24th September answer: This is the Milton Road Campus of Edinburgh College. 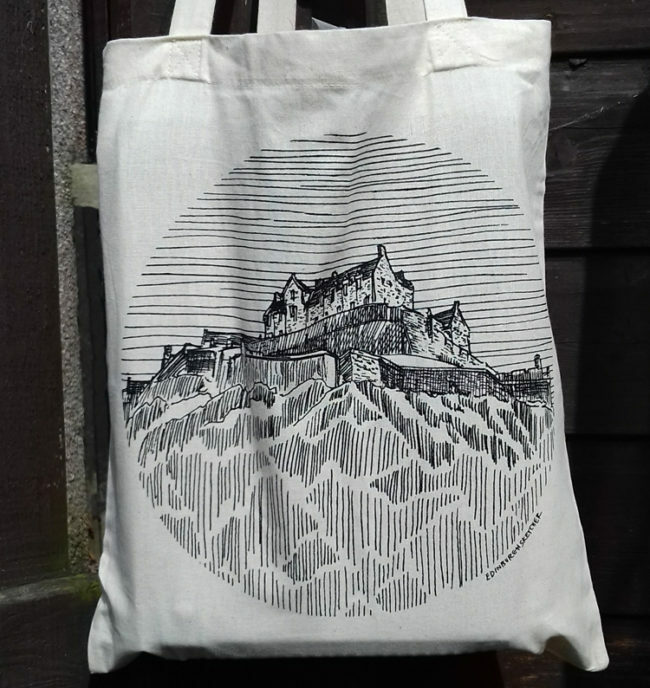 Sally Anderson was randomly picked to go into this months draw for an Edinburgh Sketcher tote bag. More next Monday! Edinburgh College Milton Road Campus, the building that has the gym in it. Love the sketch! It’s the Edinburgh College at Jewel and Esk. Used to be Leith Nautical College? That took a bit of effort to find. Obviously a Jewel of a building, as part of a college judging by the number of bicycles. This is on the south side of Milton Road (part of the A1 before they built the bypass). This one took me forever on Google map and images searching for ‘student’ (because of the bikes), ‘modern architecture’, ‘edinburgh’, ‘slant’ etc etc. Jewel & Esk College in EDINBURGH COLLEGE Milton Campus. More specifically the club at the college. Edinburgh College, Milton Road campus. This is Edinburgh College at Milton Road campus.